Ontarians like to drink—a lot. The latest numbers show that the average person over 19 in this province spends $741 a year on booze. But we also know that drinking too much is, well, not good. Cancer, car accidents, lost productivity, family breakdown, violence, death: the list of bad things associated with over-consumption of alcohol is a long one. We all know it—and we all pay for it, one way or another. That’s why alcohol policy experts have extensively studied ways to reduce the harm caused by drinking. 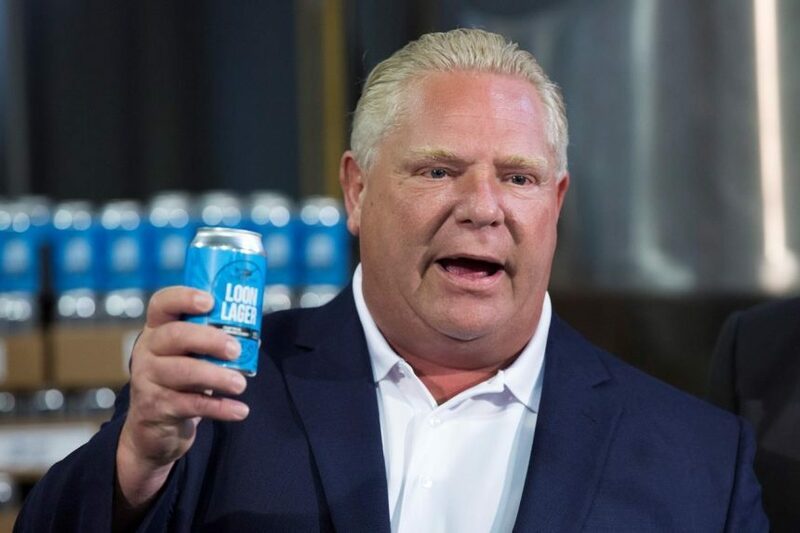 “I think people in Ontario are mature enough… to know when they’ve had one too many,” Premier Doug Ford said recently. Too bad alcohol doesn’t work that way. It is addictive—extremely so, as the premier must surely know. Some people drink too much even when they know they should stop. One in 10 Ontario adults say they “binge drink” at least once a week. So for about a century, Ontario has tried to implement policies to get people to drink less and thereby limit the harm alcohol causes. Evidence-based research into ways to reduce consumption has been going on for a long time, and organizations like the Canadian Centre on Substance Use and Addiction, the Ontario Public Health Association, and the Centre for Addiction and Mental Health have crafted very clear prescriptions, based on evidence, for limiting the harm from drinking. To name a few: people drink less when there are fewer places to buy alcohol. They drink less when alcohol costs more. They drink less when they see and hear fewer ads promoting drinking as fun and glamorous. Unfortunately, Ontario has been ignoring the evidence for some time. Our public retailer, the LCBO, advertises to boost sales. Beer, wine and cider are now available in many grocery stores. Ontarians can even buy beer for a buck (if they can find it at that price). Still, previous provincial alcohol policies had, to some degree, limited consumption by (among other things) capping the number of outlets licensed to sell alcohol and putting a floor under prices. A major study in 2016 ranked Ontario best out of 10 provinces for policies to limit alcohol-related harms. But Ontario’s time as a leader on alcohol policy will end, apparently, with the 2019 Ontario budget. Finance Minister Vic Fedeli says his government will allow beer and wine to be sold in 1,500 grocery stores plus “big box” stores, plus convenience stores. Alcohol will soon be available for sale pretty much everywhere, for more hours of the day. And according to Fedeli, we can expect to see retailers allowed to compete for customers by pushing down prices. The retail landscape for alcohol in Ontario, Fedeli suggests, will soon look more like the one in Quebec, which currently has 8,000 liquor retail outlets compared to fewer than 3,000 in Ontario. This is bad public policy. In the name of treating Ontarians “like responsible adults,” Fedeli is taking measures that could scarcely be better designed to make people drink more. By ignoring what the evidence says about alcohol, his government is ignoring both its impacts and its victims – many of whom have never had a drink at all. The evidence shows that the financial costs to Ontarians of alcohol consumption far exceed the profits and taxes the government collects to address those costs. The human costs are, of course, immeasurable. Randy Robinson is the incoming Ontario Director of the Canadian Centre for Policy Alternatives. You can find him on Twitter @RandyFRobinson. • Should we end the alcohol monopoly in Quebec?